Mettler Toledo, under the Thornton brand, has released a dissolved ozone sensor employing the company's Intelligent Sensor Management technology that helps to streamline the use of sensors for measuring pH, conductivity, dissolved oxygen or ozone, and a host of other aspects of pure water. The pureO3 sensor technology provides rapid response in a sensor assembly with a built in digital measuring circuit and Intelligent Sensor Management (ISM®). The pureO3 is designed for monitoring low concentrations of dissolved ozone in semiconductor and pharmaceutical pure water samples, bottled water and similar applications. Minimal maintenance requirements and reliable long-term operation are hallmarks of this sensor. the membrane with temperature. In addition, the instrument uses the temperature value to convert the ozone partial pressure signal to a dissolved ozone concentration value by compensating for the changing solubility of ozone with temperature." Benefits to the user from the ISM® based sensor. Full sensor identification by type and serial number. Calibration history with actual calibration, factory calibration, and last three calibration. Programmable timer to facilitate maintenance planning, reducing downtime. Starting calibration interval of 90 days. Time to maintenance function integrates ozone concentration over time, indicating replacement time for membrane body and electrolyte. Dynamic Lifetime Indicator for inner body used ozone concentration integration to predict life of inner body and membrane. Starting values, membrane body lifetime 180 days, inner body 1080 days. Sanitization counter allows the limit of ozone concentration and duration of sanitization cycleto be defined on the transmitter. The pureO3 sensor with ISM operates with the M800 and M300 transmitters. ISM features enable users to maximize the lifetime of the sensors and minimize downtime by predicting when sensor maintenance is required. Contact a product application specialist for all the details. Share your process measurement challenges with experts, combining your process knowledge with their application expertise to develop the best solutions. 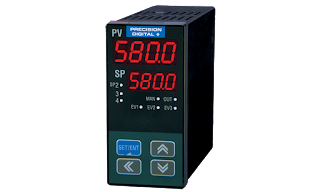 Temperature measurement is probably employed in process control more than any other physical property measurement. Methodology for temperature measurement is well established, as is the industry providing instruments and devices for acquiring temperature data from almost any facet of any process. If you are even peripherally involved in process measurement and control, having a solid understanding of how thermocouples and RTDs work is a requisite to solving problems or servicing customers. The tech manual should be on the shelf or cloud drive of anyone involved in accomplishing, interpreting, or maintaining temperature measurement. The configuration options for temperature sensor assemblies are extensive. Reach out to a product application specialist and combine your process knowledge with their product application expertise to develop effective solutions to temperature measurement challenges. Technical Reference for Thermocouples and Reistance Temperature Detectors (RTD) from Alliance Technical Sales, Inc.
Alliance Technical Sales, experienced provider of process analytical solutions throughout many industries, has added the Thornton brand of instruments to expand its offering of Mettler Toledo analytical products. Thornton specializes in on-line liquid process measurement solutions for pure and ultrapure water applications. The product line includes instrumentation and sensors providing high quality measurement of conductivity/resistivity, TOC, pH, ORP, dissolved oxygen, dissolved ozone, sodium, silica and bioburden. 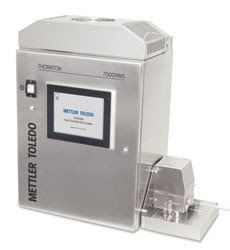 The Thornton line complements and expands the extent of Mettler Toledo products already available from Alliance Technical Sales. Share your fluid process analytical challenges with product application experts, combining your process knowledge and experience with their product application expertise to develop effective solutions. 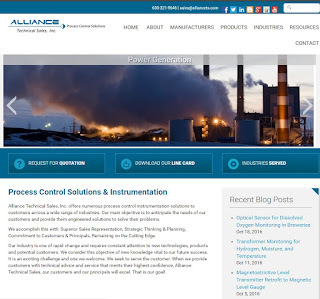 Process Analytics Product Catalog from Alliance Technical Sales, Inc.
Alliance Technical Sales represents and distributes for a number of process measurement and control equipment and instrument manufacturers throughout the midwest United States. 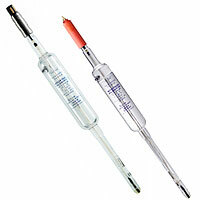 A specialty of the company is in-line liquid analytical solutions, along with other related fields. The professionals at Alliance combine world class products with real application expertise and passion to be the best at what they do. For over 15 years, the company has been helping its customers boost efficiency, safety, and effectiveness. The company's current product offering is included below. Reach out to Alliance Technical Sales for a partner in solving your process measurement and control challenges. Line Card for Alliance Technical Sales - Updated 12/2016 from Alliance Technical Sales, Inc.
Gas turbines continue to enjoy an expansion in their use throughout the world. The benefits of using gas as a fuel are well recognized. Achieving high levels of fuel efficiency will be a goal of every operator, so understanding the nature of combustion and fuels can be useful in attaining optimum operating conditions. 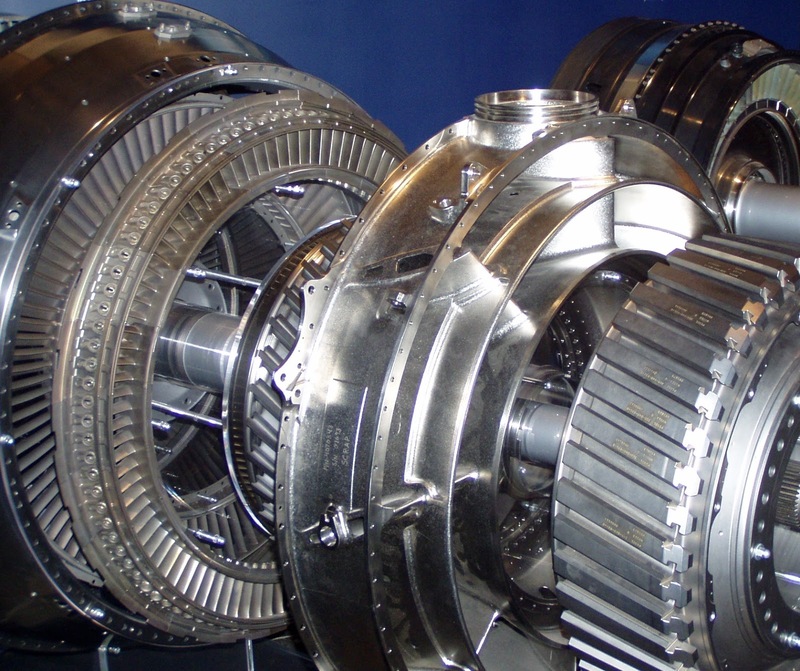 Vaisala, a globally recognized leader in the measurement of temperature and humidity, was authored a white paper application note that explains how the temperature and humidity of inlet air can contribute to combustion efficiency, as well as providing recommendations for measuring these parameters in gas turbine applications. The white paper is included below. Share your process measurement requirements and challenges with application experts. Combine your process knowledge with their product application expertise to deliver effective solutions. Optimizing gas turbine performance with precise humidity measurements from Alliance Technical Sales, Inc. Controller - The controller should provide an output that is compatible with the heater power controller and have the capability to provide a continuously varying signal or one that can be very rapidly cycled. There are many other features that can be incorporated into the controller for alarms, display, and other useful functions. These have little bearing on the actual control of the process, but can provide useful information to the opeartor. Each of the items mentioned above is due careful consideration for an industrial fluid heating application. Your particular process will present its own set of specific temperature sensing challenges with respect to performance and safety. Share your requirements with temperature sensing experts, combining your process knowledge with their expertise to develop safe and effective solutions. Gas phase oxygen measurement is used industrially for process safety and the prevention of oxidation. The ability to obtain oxygen level readings in real time can be advantageous in both application classes. While numerous measurement methods are available, Ingold (Mettler Toledo) provides a rugged and robust solution in their direct insertion sensors. Some measurement systems require gas sampling or conditioning, but the Ingold sensor is inserted directly into the process to provide fast and accurate oxygen readings. Coupling the direct insertion feature with Ingold's Intelligent Sensor Management delivers fast and direct O2 measurements with minimized maintenance, no sampling or conditioning, and limited downtime. There is more to be learned. Reach out to a product application specialist and share your O2 measurement challenges. Combine your process knowledge with their product application expertise to develop the best solutions. 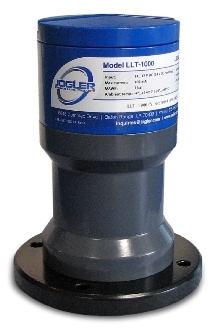 Gas phase oxygen measurement systems from Alliance Technical Sales, Inc.
Jogler, manufacturer of level measurement instruments, has released the new Model LLT 1000 Laser Level Transmitter for industrial process measurement and control applications. The newly designed instrument provides continuous non-contact level measurement for process automation and inventory management across an array of industrial applications. The laser level transmitter provides reliable measurement of solids or liquids, even clear liquids. Long measuring range, narrow beam, and high accuracy make the LLT 1000 suitable for application in silos, tanks, hoppers, chutes, and bunkers. 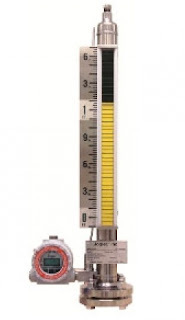 The data sheet below provides more detail on the new level measurement instrument. Share your level measurement requirements and challenges with a product application specialist, combing your process knowledge with their product expertise to develop effective solutions. Laser based level transmitter for industrial process measurement from Alliance Technical Sales, Inc.
Alliance Technical Sales, manufacturer's representative and distributor of industrial process measurement and control equipment, has released a newly designed website which brings new functionality and easy navigation for visitors. The newly designed site provides simple and rapid access to technical information regarding an array of process measurement and control products. Direct links to represented manufacturers is provided, as well as simple contact avenues to get visitors information quickly. The site is mobile friendly, adjusting its layout to accommodate whatever device the visitor is using and provide easily readable page views. ATS now has an ongoing social media presence, with weekly blog posts about products and technical issues. All of the social media channels are directly accessible from the website. Alliance Technical Sales is fully committed to providing top flight service to its customers. 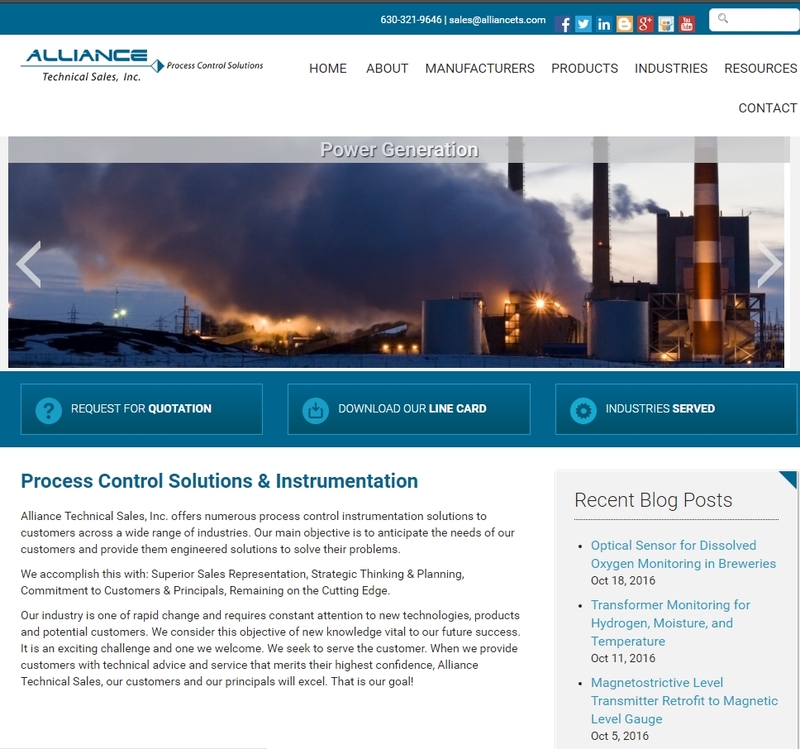 Visit the new website and reach out to ATS with your process measurement and control challenges. Dissolved oxygen measurements are an essential part of the brewing process. Keeping oxygen out of beer is a key production goal of brewers on any scale, since oxygen noticeably diminishes the taste of beer. The measurement levels for oxygen are very low, so a sensor with high accuracy and response is needed. 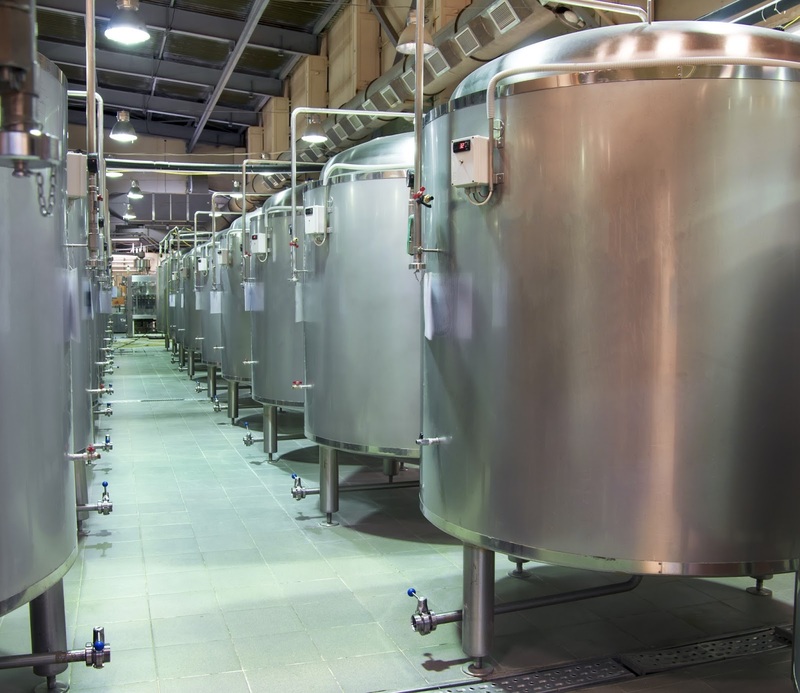 Hygienic construction and the ability to accommodate CIP operations is also a plus. Any features that reduce maintenance time budget enhance the value of the instrument. The video, provided by Mettler Toledo, provides useful insight into how their optical DO sensor can benefit a brewing operation. More detail, as well as application assistance, is available from product specialists. Combining your process knowledge and experience with their product application expertise will deliver effective solutions. Electrical transformers are an intricate part of the power transmission and distribution system. Many transformers are insulated with mineral oil that also facilitates heat transfer for unit cooling. Abnormal thermal and electrical stresses, such as local overheating and electrical discharge ocurring in the transformer, cause decomposition of insulating oil and papers, resulting in production of a range of gases, one of which is hydrogen. Routine dissolved gas analysis, or DGA, is performed on oil filled transformers to provide a measure of unit health. The process involves the extraction of an oil sample from the transformer, which is then subjected to laboratory analysis. The process is manual, time consuming, and only performed infrequently. It is known that the presence or increasing levels of certain gases is an indicator of internal faults or general wear and tear in a transformer. A reliable stream of data can provide value as a predictive indicator of overall transformer health and maintenance requirements. The endgame is to prevent unit failure and the resultant shutdown of connected customer equipment. General recommendations call for trend monitoring of hydrogen. The rate of change in the concentration can be more indicative than the overall level in some cases. Any rapid change is a harbinger of potential problems. Adopting a proactive approach, based on transformer oil condition, can extend transformer useful life. Moisture content of transformer oil is another concern. The presence of water boosts oil and paper insulation deterioration. Water presence in transformers generally has two potential sources, atmospheric and internal. The sources of moisture in the oil are not a subject of this article, but water reduces the dielectric strength of insulating oil and can facilitate corrosion or other material degradation within the transformer case. Internal temperature is an indicator of the current operating condition of a transformer and is useful in evaluating its performance. All three of the parameters mentioned, moisture, hydrogen, and temperature, are continuously measured by the new MHT-410 from Vaisala. The transmitter provides three isolated loop powered 4-20 mA outputs that provide the user with continuous data on moisture content, hydrogen concentration, and oil temperature. The compact unit installs easily in less than 30 minutes to provide online monitoring of insulating oil without any need for pumps, membranes, or sampling. The new MHT410 provides real time transformer health monitoring, as well as information on transformer fault situations. You can find out more with a review of the data sheet included below. Reach out to a product specialist with your measurement challenges. Moisture, Hydrogen, and Temperature Measurement in Electrical Transformers from Alliance Technical Sales, Inc. Monitoring process water microbial counts in the pharmaceutical industry has traditionally been a time consuming, hands-on operation. Sample preparation, plate counting, stains, reagents, and the time required to get results has kept microbial monitoring a cumbersome task that provides only snapshots of the process water quality at the time of sampling. 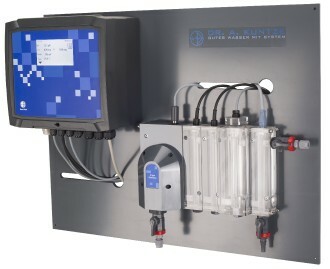 Mettler Toledo has introduced its Model 7000RMS, a continuous on-line microbial monitoring system for purified water and water for injection. 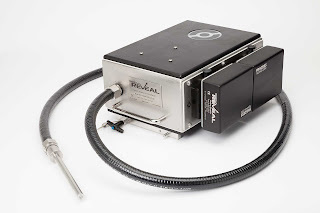 The system uses advanced laser based technology to provide immediate detection and quantification of microorganisms. Particles as small as .52 microns can be detected, and the monitor uses recent advancements in spectroscopic technology to differentiate between microbial and inert particles. The 7000RMS puts on-line analytics for microbial contamination on the same timeline as TOC and conductivity, with all three critical aspects now subject to real time measurement. The white paper included below delivers a deeper and more detailed view of the technology and the how the system works. Detailed application and product information is available from product specialists. Continuous On-Line Microbial Monitoring of Pharmaceutical Waters from Alliance Technical Sales, Inc. Thermal oxidation is a process employed in a number of diverse industries as a means of pollution and emissions control. 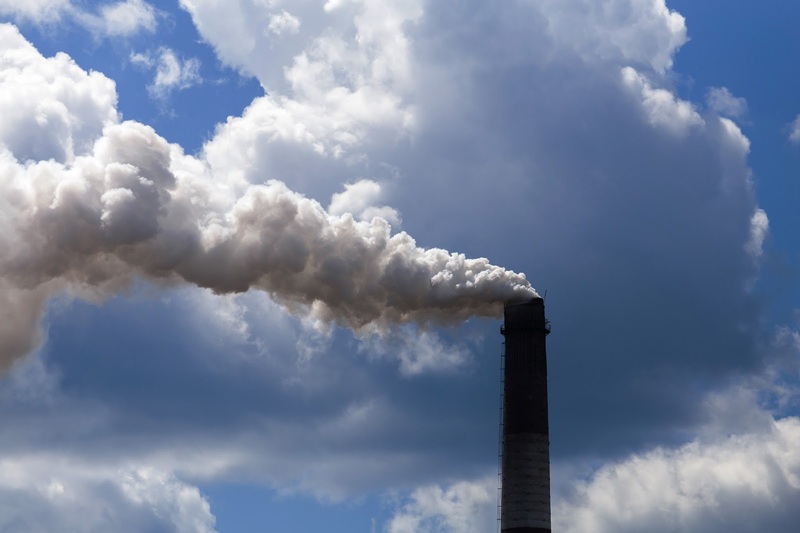 Essentially, the process uses heat to promote the breakdown of hazardous air pollutants and volatile organic compounds into less harmful byproducts. Many pollutants are hydrocarbon based and when properly processed will oxidize efficiently and provide an output consisting primarily of H2O and CO2. The process employs a number of inputs, aside from the subject pollutant stream. A fuel input is needed to maintain the elevated temperature that will force oxidation of the pollutants. Being essentially a combustion operation, there are opportunities to boost efficiency and minimize the expenditure for the fuel inputs. Heat recovery is an essential element of achieving high efficiency levels. This can take many forms, depending upon what the energy needs of the facility might be. 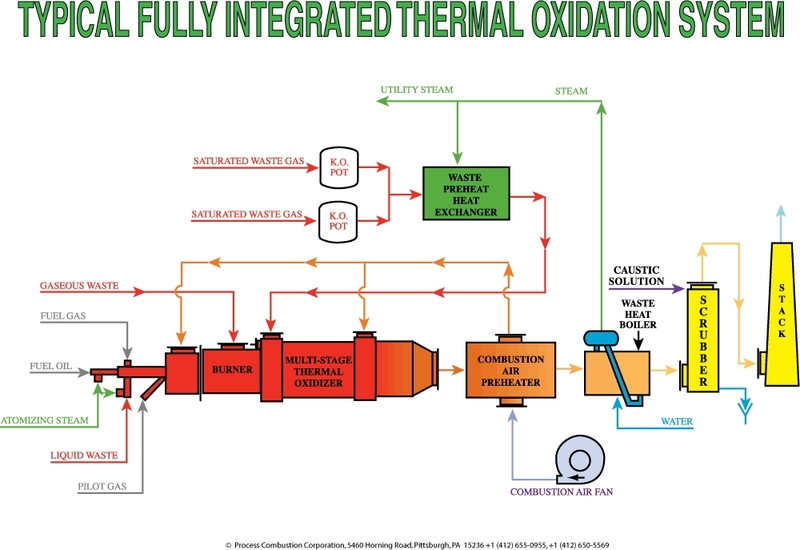 One option is a waste heat boiler to produce steam for other plant operations. There are many other options which will be discovered with a thorough review and analysis of the plant operations. 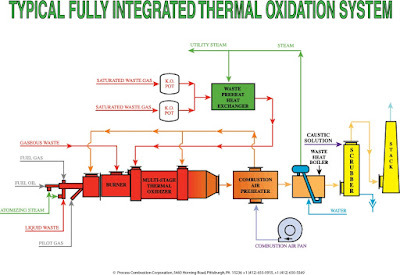 Thermal oxidation is the effective employment of a process that provides thorough mixing of an organic substance with sufficient oxygen, at a high enough temperature, for a sufficient time, to cause the organics to oxidize to the desired degree of completion. Achieving effective utilization of a thermal oxidation system requires the application of experienced engineering talent. Share your emissions and pollution control requirements and challenges with specialists. Combining your knowledge of plant facilities and operation with their pollution control expertise will produce effective solutions. Keeping electrode type sensors clean is essential to maintaining accurate and reliable readings. The frequency of maintenance depends upon the application, but any reduction in the requirement to manually clean or replace sensors is certainly a positive development. Kuntze Instruments developed a method of automatic cleaning for sensors employed on their Krypton® line of disinfectant analyzers. The automatic sensor cleaning system is shown in action on the video below, and you can get more detailed information about the Krypton® disinfectant analyzers and the automatic sensor cleaning system from product specialists. Share your liquid and gas analysis requirements and challenges with application specialists, combining your process knowledge with their product application expertise to produce effective solutions. Specific gravity is the ratio of the density of a substance to the density of a reference substance; equivalently, it is the ratio of the mass of a substance to the mass of a reference substance for the same given volume (Thank you, Wikipedia). Often the reference substance for liquids is pure water at a temperature of +4°C, which is assigned a value of 1.0. The specific gravity measurement is used throughout many industries as a measure of concentration in a solution. An example would be the concentration of sugar in a solution of water and sugar. 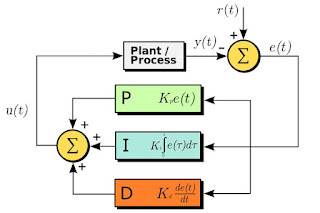 For purposes of process analysis, an instrument providing continuous measurement is generally advantageous since its operation accommodates the changing nature of the process. 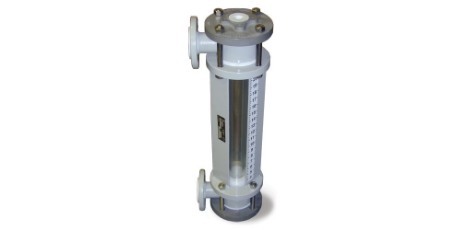 One device employs two tubes and a calibrated float to provide a continuous display of a liquid's specific gravity. Liquid from the process fluid sample line enters the bottom of the inner tube containing the float. A very small sample flow rate is needed. The float is calibrated for the subject process liquid and has a reference scale from which the specific gravity is manually read. The sample fluid overflows the inner tube, collecting in the outer tube where it is drained away. The continuous, though small, flow of sample liquid enables each reading to reflect the current process condition. This simple and effective instrument provides accurate measurement and requires little maintenance. Share all your process fluid analysis challenges with application specialists. Combine your process knowledge with their product application expertise to develop the most effective solutions. Specific Gravity Analyzer for Continuous Process Monitoring from Alliance Technical Sales, Inc.
Vaisala enjoys global recognition as a premiere provider of best-in-class humidity and temperature transmitters for industrial process measurement. The video provided here gives an excellent overview of the company's HMT 330 Series with all of its variants for special applications. Share your temperature and humidity measurement challenges with product specialists, combining your process knowledge with their product application expertise to develop effective solutions. Humidity, the amount of water vapor in the atmosphere or a gas, can be an important measurable attribute of an industrial process. Many are aware of the measurement of relative humidity in HVAC applications and its impact on human comfort in occupied spaces, but the measurement of water vapor in air can be a required measuring point in many other processes that pose far greater challenge. In addition to common wall or duct mounting applications, where the instrument is easily inserted or placed into the environment to be measured, there are applications that call for special adaptations to the instrument or sensing probe. Meeting the full range of industrial process control operations requires stable measurements and the choice of multiple configurations and options to customize the instrument to the process demands. Here are some features worth considering. While not all processes may require, or benefit from, the inclusion of all the listed features and capabilities, reviewing what is available and considering which features may provide better operability in your process can be beneficial. 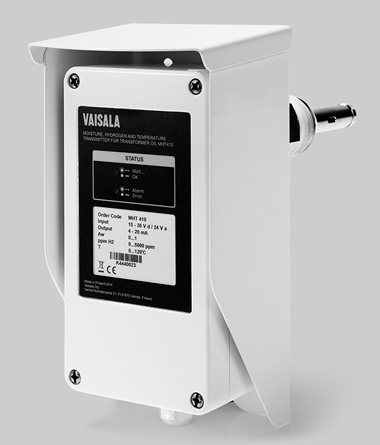 I have included a data sheet below that illustrates the HMT330 Series of humidity and temperature transmitters from Vaisala. Share your humidity measurement challenges with a product specialist. Combining your process knowledge with their product application expertise will produce solid solutions. Vaisala HMT330 Series IndustrialTemperature and Humidity Transmitters from Alliance Technical Sales, Inc. Process engineers and operators continually seek faster and more accurate means of measuring variables within the process. Greater currency and accuracy of information can lead to better control and decision making, with a positive impact on efficiency and safety. 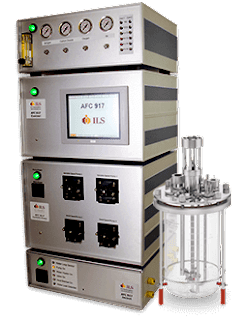 Measurement of specific dissolved gases within a liquid plays an important part in many processes in the biopharmaceutical, food, and beverage industries. 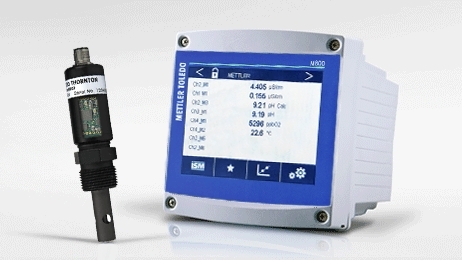 Mettler Toledo, through their Ingold brand, has developed a solution to a common problem associated with measuring dissolved oxygen. Provided below is a video which illustrates how bubbles can impact the sensor reading, plus Mettler Toledo's solution to the problem. There is also an application note provided below the video which further explains the problem and solution. Share your process measurement and control challenges with product specialists. Combine your process experience with their product application expertise to devise the best solutions. Eliminating Bubble Noise in Dissolved Oxygen Measurements from Alliance Technical Sales, Inc.
Bioreactors can have their useful working life extended, even made more productive, through the replacement of the automation and control system. Modern measurement and control gear can provide utility that may not have been available at the time of original manufacture. With vessel, support structure, and piping in good condition, a system may be a viable candidate for refurbishing to bring about upgraded performance or avoid the purchase of an entire new system. ILS Automation is a specialist in the realm of refurbishing bioreactor systems. The company has several drop-in replacement control units for smaller bioreactors, and also provides turn-key solutions for larger systems. The ILS expertise also extends into other industrial process control and automation fields in the biotechnology, chemical, oil and gas industries. A bioreactor control system update case study is included below. More product, service, and capabilities information is available from Alliance Technical Sales. 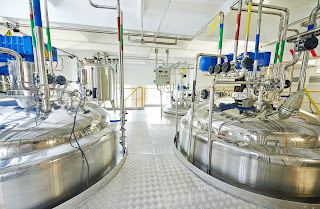 Pharmaceutical Manufacturing Case Study: Refurbish Old Bioreactor from Alliance Technical Sales, Inc.
A thermocouple is a temperature sensor producing a micro-voltage from a phenomena called the Seebeck Effect. In simple terms, when the junction of two different (dissimilar) metals varies in temperature from a second junction (called the reference junction), a voltage is produced. 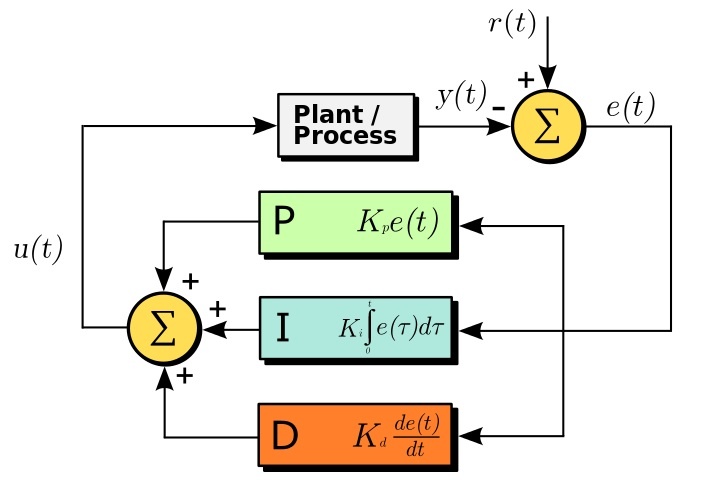 When the reference junction temperature is known and constant, the voltage produced by the sensing junction can be measured and a corresponding temperature derived. 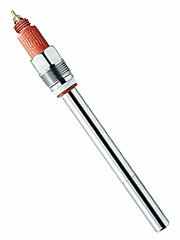 Thermocouples are widely used for industrial and commercial temperate control because they are inexpensive, exhibit appropriate accuracy for many applications, have a fairly linear temperature-to-voltage output curve, come in many “types” (different metal alloys) for many different temperature ranges, and are easily interchangeable. They require no external power to work and can be used in continuous temperature measurement applications from -185 Deg. Celsius (Type T) up to 1700 Deg. Celsius (Type B). RTD’s (resistance temperature detectors), are temperature sensors that produce a measurable change in resistance as the temperature of the RTD sensing element changes. They are normally designed as a fine wire coiled around a bobbin (made of glass or ceramic), and inserted into a protective sheath. They can also be manufactured as a thin-film element with the pure metal deposited on a ceramic base much like a circuit board. The RTD wire is usually a pure metal such as platinum, nickel or copper because these metals have a predictable change in resistance as their temperature changes. RTDs offer considerably higher accuracy and repeatability than thermocouples and can be used up to 600 Deg. Celsius. They are most often used in biomedical applications, semiconductor processing and industrial applications where higher accuracy is important. Because they are made of pure metals, they tend to more costly than thermocouples. RTDs do need to be supplied an excitation voltage from the control circuitry. The third most common temperature sensor is the thermistor. Thermistors work in a similar fashion to RTDs, in that they are a resistance based device, but instead of using pure metal, thermistors use a very inexpensive polymer or ceramic material as the element. The practical application difference between thermistors and RTD’s is the resistance response curve of thermistors. It is very non-linear, making thermistors useful over a narrower temperature range than RTDs. 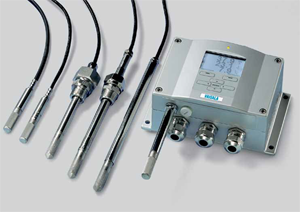 Temperature sensors are available in an almost infinite number of assemblies and configurations to accommodate every conceivable application. Share your application with a product specialist and take advantage of their application knowledge and experience.